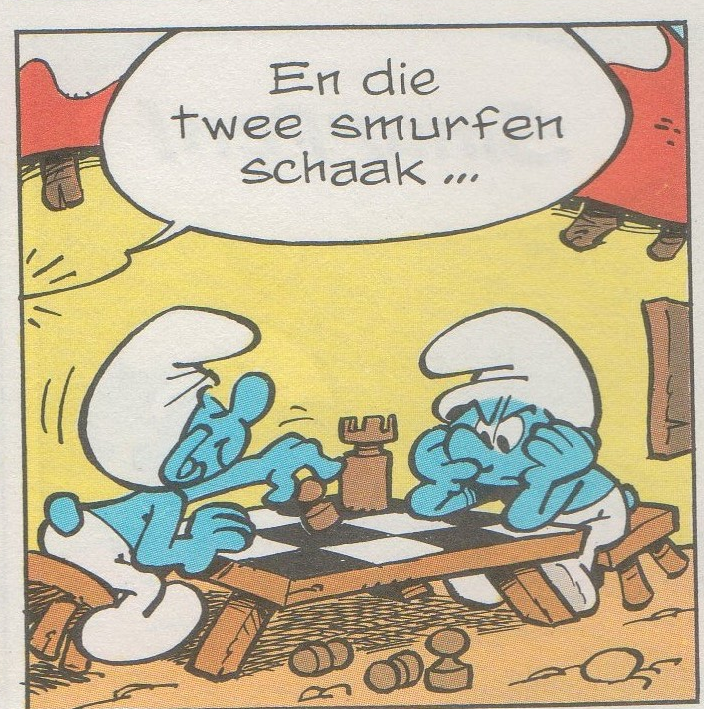 Hefty Smurf: And those two smurf chess. and it is without a doubt the single worst thing I have ever talked about on this blog. The board is only 3-by-4, there are only pieces of one colour – white or black, I don’t even know which -, there is no king on the board, and whoever is playing seems to be finishing a move by pushing a pawn to the second rank – which is, of course, impossible. Even worse, the captured pieces are just thrown on the ground. And they, too, all have the same colour! This means that one side started with at least four pawns and a rook, which together occupy almost half of the board. No wonder the other guy has no pieces: there’s no room for them! Realism: -/5 What do you want me to say? 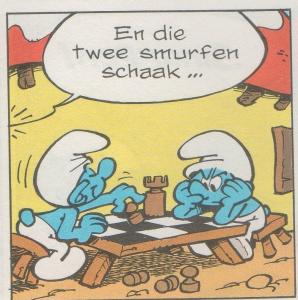 The whole thing is just… – it’s just smurf. Probable winner: I haven’t got the foggiest idea. How would you even determine the winner if one player has no pieces?